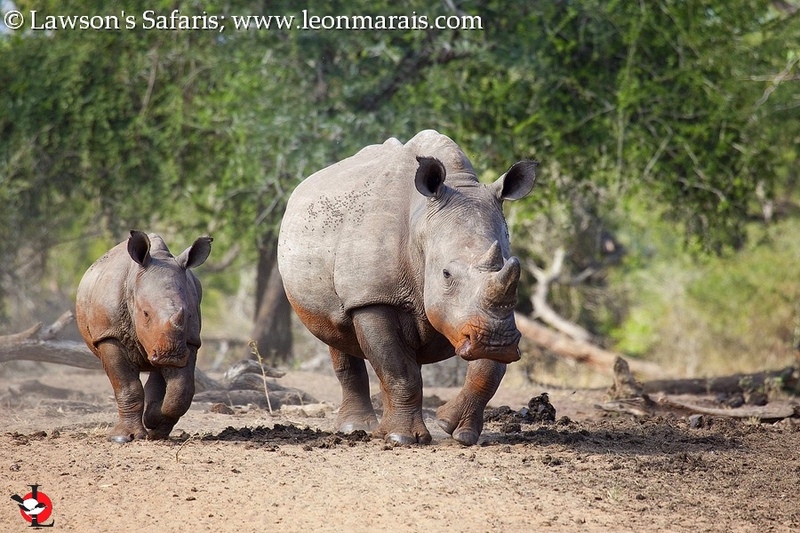 KwaZulu-Natal | Leon Marais Travel Writing and Photography. A Traveller’s Guide to Caribbean Estates. Caribbean Estates Travel Guide: Photography, fishing, birding and other things to do. Location: It’s not where you may think it is! 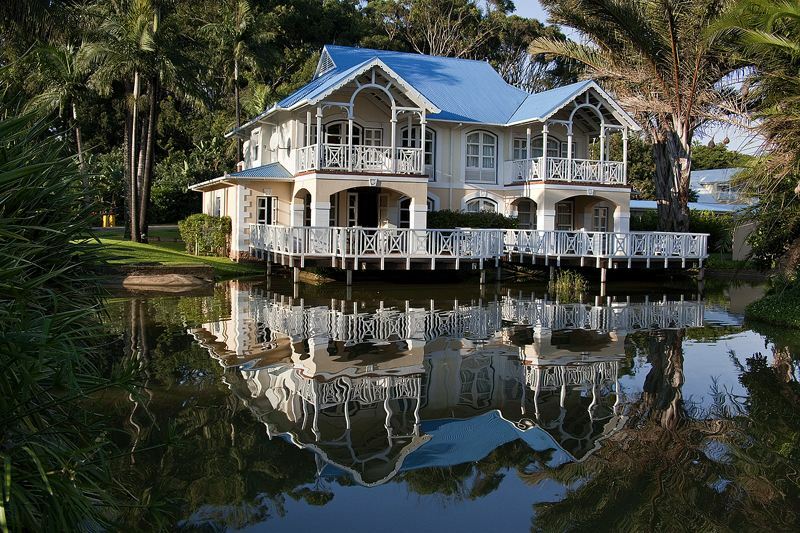 Caribbean Estates is a time-share and residential estate on KwaZulu-Natal’s ‘South Coast’, which extends from Durban southwards to the Mthamvuna River, beyond which lies the ‘Wild Coast’ of the Eastern Cape / former Transkei. 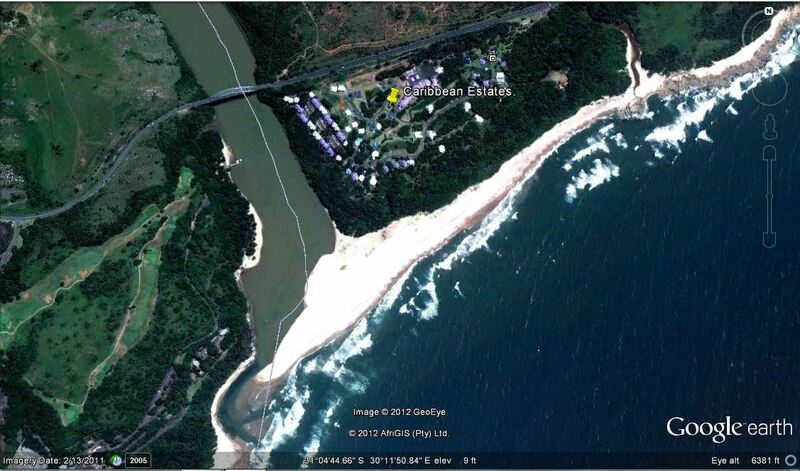 Caribbean Estates lies on the northern bank of the Mthamvuna River, opposite the Wild Coast Casino complex. Access is directly off the R61 to Bizana, a few kilometres south of the main traffic light as you go through Port Edward. Google Earth View of the Estate. The estate is designed with a ‘plantation’ style of architecture, and is as such an attractive and aesthetically pleasing development. The estate grounds include large patches of coastal forest, a habitat type which is pretty rare to the north where rampant urban development has taken place. The forest patches are home to a wide range of bird species, as well as small mammals such as Vervet Monkies and the diminutive Blue Duiker, an inhabitant of closed-canopy forests (see more under ‘Birds and Wildlife’). There are several small dams and canals winding through the estate, which attract a range of water birds such as ducks and herons. Please note that these are unfenced, as are the swimming pools, so keep an eye on young children as these constitute a drowning threat. The grounds are sandwiched between the coast on the eastern side, the Mthamvuna River to the south and the R 61 to Bizana to the west. Note that the chalets on the western side of the estate are very close to the road and the main bridge over the river, which generates high volumes of traffic noise. The chalets closer to the entrance gate are situated on a small dam, which attracts lots of ducks and geese as well as the many resident Peacocks. There’s direct access to both the beach and the river from the estate, which is great for photographers, birders and anglers. The Sunrise Beach Trail, which leads one out onto the spectacular beach, has a gate which is closed after dark in the evenings and opens early enough so that you can get out onto the beach first thing in the morning. There is access to the river mouth itself via the Wagon Trail, and access to the river via the River Ramble and Tasselberry Lane. Bear in mind that there are security warnings at the access points to the beach warning you against visiting the beach alone, especially after dark, and thus it’s undertaken at your own risk. I spent a lot of time out there on my own, but did so with full awareness of the warnings and had no problems. ‘Plantation Style’ chalet at the Estate. My main interest here were the seascapes, and I was pleased to find some fantastic rock formations on the northern end of the beach. My tactic involved a recce to the rocks on my first full day there, to scope out scenes and compositional elements. The following morning I headed down before sunrise for a photo session, but unfortunately the sky was overcast and the light flat and dull. Nevertheless this served as a good practice session, and the following morning the sunrise was good enough to get excited about. The previous morning’s session also proved to be invaluable in that I realised that the sun would rise over the rocks straight up the beach rather than straight out to sea where I had expected it to. This proved to be something of a compositional conundrum, in that most weathering lines and fractures in the rock are perpendicular to the coast, which creates pleasing lead-in lines to the colour and flare of the rising sun. With the sun rising straight up the beach most lines were thus cutting straight across the frame, making it difficult to find a really good spot from which to take photos. I tried various spots and eventually settled on two circular pools on a large, flat section of the rocks, with somewhat pleasing results despite the more cluttered skyline. I returned again after lunch to try and catch the high tide, which wasn’t really high enough to create the scenes I had hoped for. For the third time that day I returned in the late afternoon, which actually delivered some of the best results. So basically the rocks are a really nice photographic location, where one could spend a lot of time exploring different angles and compositions. Putting the wide lens aside, the White-faced Ducks and Egyptian Geese which frequented the little dam in front of our chalet also provided some good photographic opportunities. They are quite tame, and allow fairly close approach if you move slowly and carefully. They spend a lot of time around the edge washing and bathing, which can make for some great photographic opportunities in the magic hour of the late afternoon. There are plenty of man-made structures around, so it’s not easy to get a wild-looking shot, and in some cases it just makes more sense to include the human element in the composition. Ditto with the Peacocks, such unbelievably striking birds as they are they just seem fake… If you have a long enough lens, i.e. 400 mm +, the pair of Malachite Kingfishers which hang out around the dam, feeding on the hordes of tiny Mosquito Fish, can provide some superb opportunities and a good close-up of this brilliant little bird is always a winner. Speaking of the birds, Caribbean Estates offers some good birding opportunities. Of course birding is seasonal, so my time there is only a snapshot of one week in the year. April is not the best birding month on the calendar but I still managed to record 51 bird species for my SABAP 2 Atlas Project submission, which is not the biggest list ever but still O.K for a casual birding session. The three trails through the grounds take you through some nice coastal forest patches, which could be really productive in summer. Birds to look out for here include Yellow-rumped Tinkerbird, Olive Sunbird, African Paradise-Flycatcher, Blue-mantled Crested-Flycatcher, Red-capped Robin-Chat and so forth, while in early summer a nocturnal mission may produce Buff-spotted Flufftail. Early mornings are undoubtedly the best time to be out birding, and between the birding, fishing and photography your mornings are going to be the busiest part of your day! The beachfront and lagoon can also add to your bird list with some marine species such as African Black Oystercatcher, Kelp Gull, Swift Tern, White-breasted Cormorant and others, while a scope aimed out to see might turn up a Cape Gannet or White-chinned Peterel, with a bit of luck. Mammals in the grounds include Blue Duiker and Vervet Monkey. As always when monkeys are about, you need to keep an eye on them as they launch raiding sorties into the residential areas every now and then and certainly have a keen eye for bananas. Caribbean Estates offer some great saltwater fly-fishing opportunities, though needless to say on my visit in April 2012 I did a lot of casting and not too much catching. The fly-fishing can be divided into surf and estuary. The surf can produce Pompano and Shad, the former with a Crazy Charlie pulled through the waves, the latter with anything that moves when they are ‘running’. Look for pockets and holes where the water is slightly deeper and if you can, work the rising tide. The estuary mouth is also best fished on the cusp of high tide, or at least it was during our stay. On our first few days the wind was very strong, blowing first down the beach and then up the beach, making it almost impossible to fish the tide /river interface zone. Fortunately the dunes provided a gap in the wind so we could fish a bit further up river, but despite a lot of effort there were no rewards here. Once the wind dropped we were however able to fish where we wanted to, which was right where the mouth constricts as it empties out into the sea. At around the high tide period there was a clear division between the blue sea water rushing in and the brown river water coming down, and for a limited time period until about 45-minutes after high tide there was a lot of fish action here. Splashes and flying bait fish indicated predatory fish on the hunt, and eventually, after a lost fly and several takes, I managed to land two small Kingies. High tide is definitely the time to be out there, and all the better if it coincides with sunset or sunrise when the low-light conditions might just bring out the bigger fish. Given more time we may have had more rewards, but at least I could leave with two Shad and two Kingfish caught and released. If you are a bit tired of the salt then there are some good Bass dams in the area, such as at Clearwater Trails Centre not far away. E.T’s dead 9and I don’t mean Mr. Terreblanche!). Fantastic weathering of the granite rocks. The Face in the afternoon. Fishing for Three-spot Pompano in the surf. The best time to be on the beach (at own risk of course!). Grand Pa and Grand Daughter enjoying the estate. Reflections in the Magic Hour. Bath time for a White-faced Duck. A small Kingie in the Lagoon. Bring it in nice and gently.